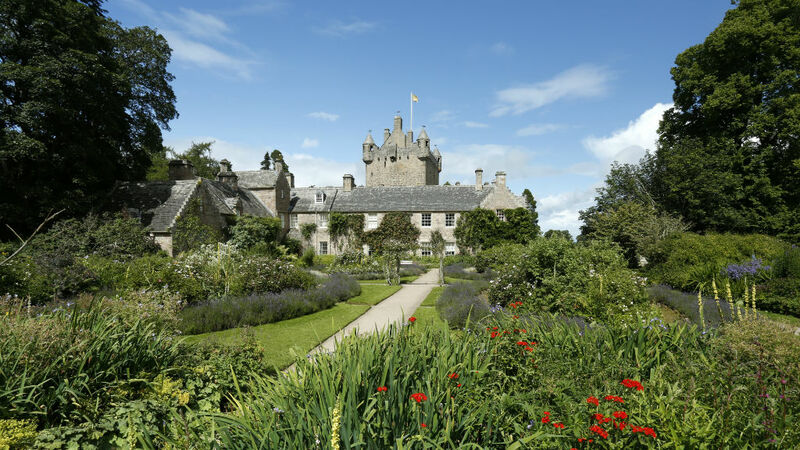 The magical Cawdor Castle dates back to the late 14th century. Steeped in history, visitors are still delighted by it to this day. Located about 5 miles south west of Nairn, Cawdor Castle was built around a 15th century tower house which originally belonged to Clan Cawdor before passing into the hands of Campbells in the 16th century. Although famed for its literary connection to Shakespeare’s Macbeth, the actual 11th century events upon which the play is based to place many years before the castle was built. However the castle does boast its own unique tale surrounding its construction. According to legend, the castle is built around a thorn tree, which has since been identified as a holly dating from 1372, which visitors can still see today in the dungeon. Experience the castle’s sumptuous interior and see the impressive Drawing Room, its wall adorned with portraits of generations of Campbells, the Tapestry Bedroom with its precious wall hangings, the Dining Room with its magnificent stone fireplace and the Old Kitchen which retains its 19th century range and an array of antique cooking implements.